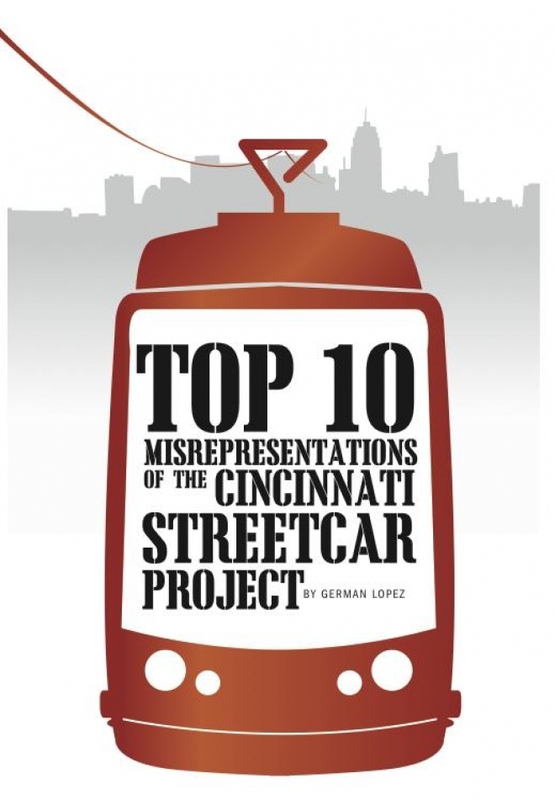 Now that the funding situation for phase one of the streetcar system and above-ground construction is imminent, CityBeat has decided to look back upon the years of debate over the project and highlight its top ten misrepresentations. Check out the full story from German Lopez to read his explanations about each one of the following points. Streetcar funds could have been used to save police and firefighter jobs. The project is way too expensive. The project’s problems come from outside sources. The streetcar hasn’t increased taxes. 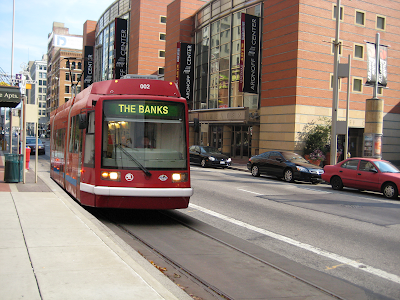 The streetcar won’t foster economic development. Buses are just as good as streetcars. The streetcar really doesn’t go far enough. Humans can outwalk the streetcar. The streetcar can’t go uphill. The streetcar will be full of scary black guys with guns. You can also read the full feature story in the latest print edition of CityBeat, so head out to your nearest coffee shop and flip through a copy. You can also learn more about what streetcars are and are not by reading through our information page, or by checking out the City of Cincinnati’s FAQ page. You could also submit questions to us at cincystreetcar@gmail.com and we’ll work to get the answers for you, if we don’t have them already. It’s been a long and tumultuous path for us thus far, but it is almost all behind us now. It’s too bad there was so much misinformation spread along the way, but we certainly did our best to try to provide accurate information regarding the project. Now, let’s get phase one running and start working on future phases to more of Cincinnati’s great neighborhoods! This entry was posted in Economic Development, Operations and tagged citybeat, Downtown, Opinion, Over-the-Rhine, pendleton, Uptown. I now live in a city and a country with excellent public transport systems. It has made me a BELIEVER in public transport and its way of enriching one’s life. WHY? 1. It makes the car unnecessary within the city (and often within my country). Our 7 year old car has been driven about 9,000 miles! We use public transport everywhere within the city and the country. This is a major contribution to the greening of the country. 2. I greatly encourages walking. We walk to all our daily activities within the city and occasionally use the tram or bus to get home if it rains. The encouragement to walk is a major health item! We are never far from public transport anywhere in the city so wherever we are, we can get home easily. In general, walking is quicker than using a car as finding legal parking often takes 10-15 minutes if we use our car! 3. For those of us who use the tram and RR regularly, we buy a pass, (good for 1,2 or three years) which gives us half price on all rail journeys and a reduced price on all trams and busses. Although we are spoiled and lucky, the public transport system makes one a believer and is an important part of a healthy way of life. Another important factor, admittedly, is living in a foreign city, designed for pedestrians and not automobiles. Honestly, it is rare that we have to walk more than twenty minutes to go to every place essential to daily living – food, clothing, doctor, hospital, movies, club meetings, – you name it. It’s all within an easy walk. For us, whether working or retired, it is a huge benefit and more so if, as one ages, one can no longer drive a car. We are well situated for growing old (and/or crippled??). Public transport is an important factor in planning for our old age. This entry was posted in Uncategorized and tagged Health, Livability, Opinion.